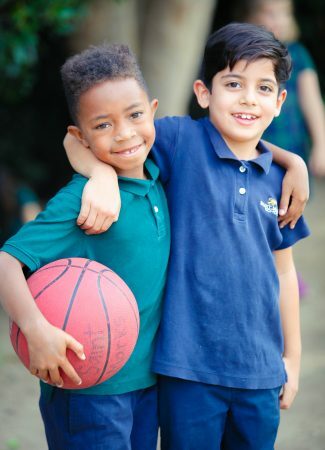 Saint Mark’s School seeks to develop the unique intellect and character of each student in a nurturing environment committed to academic excellence, respect for diversity, responsibility, and spiritual growth. We believe that the social and emotional development of our students is equally important to their intellectual growth. Our holistic approach to early childhood and elementary education allows a supportive space for preschoolers through sixth graders to engage in their learning. By intentionally educating the whole child, we guide students toward academic excellence, encouraging an intellectual curiosity that will create lifelong learners. Our diverse community—from our faculty and staff to our highly engaged parents—models the confidence, resilience, and compassion that we strive to instill in our students who go on to become thoughtful leaders in their community and their world.